As with any PGA Tour major, several players with ties to Las Vegas are playing in the 100th PGA Championship at Bellerive Country Club in St. Louis. Scheduled to tee off Thursday are former UNLV golfers Seungsu Han, Charley Hoffman, Ryan Moore and Adam Scott, in addition to residents Kevin Na, Scott Piercy and Aaron Wise. This year marks the final time that the PGA Championship will be the season’s last major. In 2019, the tournament moves to May when it will be played at Bethpage Black in New York and the British Open will be the final major. Han, 31, played three years at UNLV from 2005-08 and recently completed his communications degree. He also lists Las Vegas as his new residence. Spots on the United States Ryder Cup team are also in the balance this week as it is the final chance to earn points. Na is coming off a victory at A Military Tribute at The Greenbrier in July and is 16th in the standings. The top eight qualify prior to captain Jim Furyk making four additional selections. Wise, who won the ATT Byron Nelson in May, is 17th. Hoffman is 22nd and Moore, who sank the clinching putt for Team USA in 2016, is 26th . This week’s winner earns 4,000 points. Former Rebel John Oda tied for third at the Barracuda Championship in Reno last week, the best finish for a Monday qualifier this season. Another former Rebel, Chad Campbell, finished second. Oda, an All-American at UNLV, turned pro in 2017 following his junior year, but failed to earn his PGA Tour status through Q-School. 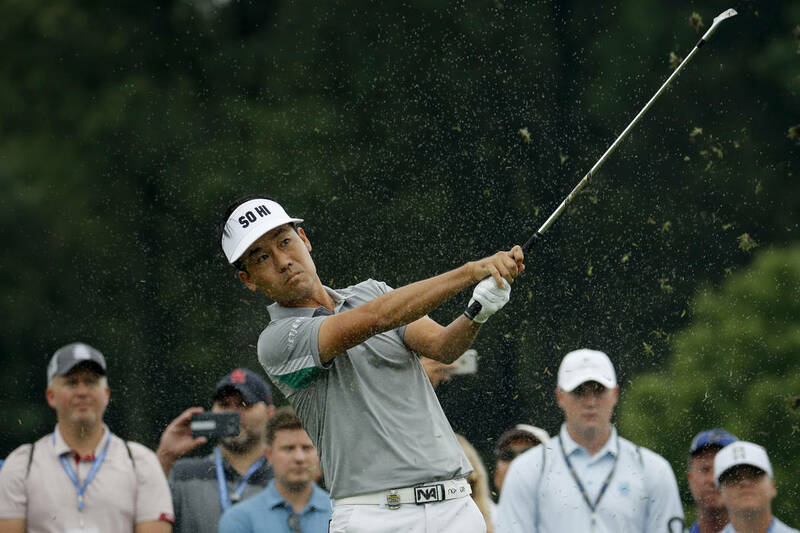 With the top 10 finish, Oda won $197,200 and also earned a spot in the Wyndham Championship next week. Campbell earned $367,200 and is 126th in the FedEx Cup standings. The top 125 make the playoffs following the Wyndham Championship. When you buy the 2019 Siena and Arroyo players cards prior to Aug. 31, you get four free rounds to be played in 2019. The first 200 to buy earn a fifth free round. Several fearless golfers are playing 100 holes at TPC Summerlin to raise funds for the Southern Nevada Junior Golf Association. Among those participating Aug. 20 are junior golf director Nicole Dutt-Roberts, her brother, Eric, Southern Nevada Golf Association tournament director Tim Brand, PGA of America pro Tim Sam and several others. To support your favorite golfer, visit 99pledges.com/fund/marchto100. At Las Vegas National, Daren Johnson won the Nevada State Mid-Amateur. Edward Fryatt was second and Kenny Ebalo third. In the net state amateur, Michael Godfrey beat Al Keuker 2-up in the championship match. Thursday-Sunday: America’s Golf Fest & Skills, various courses. Saturday-Sunday: SNGA Cascata Amateur, Cascata. Aug. 15, 16: Shriners Sip n’ Swing, TPC Summerlin. Aug. 17: SNGA Tour, Arroyo. Aug. 18, 19: Golf Channel Tour Champ., Bali Hai. Aug. 20: Men, Women-USGA Mid-Am qualifier, Red Rock. Aug. 24, 25: Westgate Superbook Classic, Las Vegas Country Club. Aug. 26: 2nd Big Cup Heaven/Little Cup Hell, Siena. Sept. 8: Las Vegas Junior Am, LV Golf Club. Sept. 8, 9: SNGA Laughlin Amateur, Mojave Golf Club. Where: St. Louis; Bellerive Country Club (7,316 yards, par 70). When: Thursday and Friday, 2 p.m. to 8 p.m. (TNT); Saturday and Sunday, 11 a.m. to 2 p.m. (TNT), 2 p.m. to 7 p.m. (KLAS-8). Purse: TBA ($10.5 million in 2017). Winner’s share: TBA ($1.89 million in 2017). Where: Kingston Springs, Tennessee; The Golf Club of Tennessee (6,275 yards, par 71). When: Thursday-Friday, 4-7 p.m. (FS1); Saturday, 10 a.m. to 1 p.m. (FS2); Sunday, 2-5 p.m. (FS1).